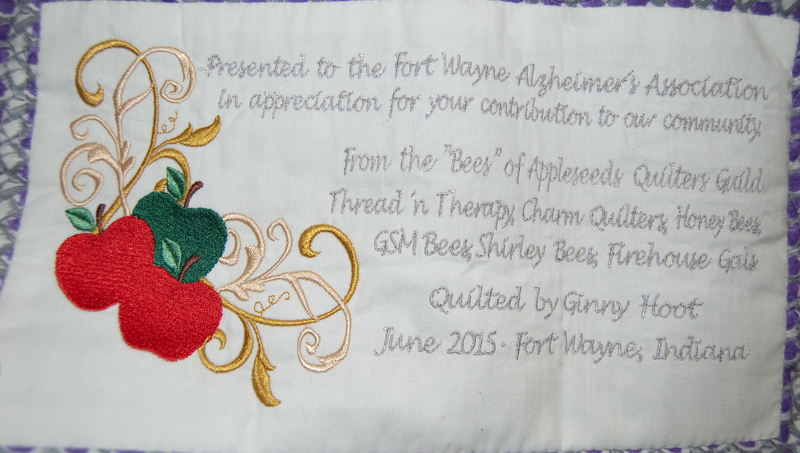 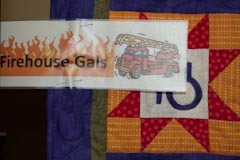 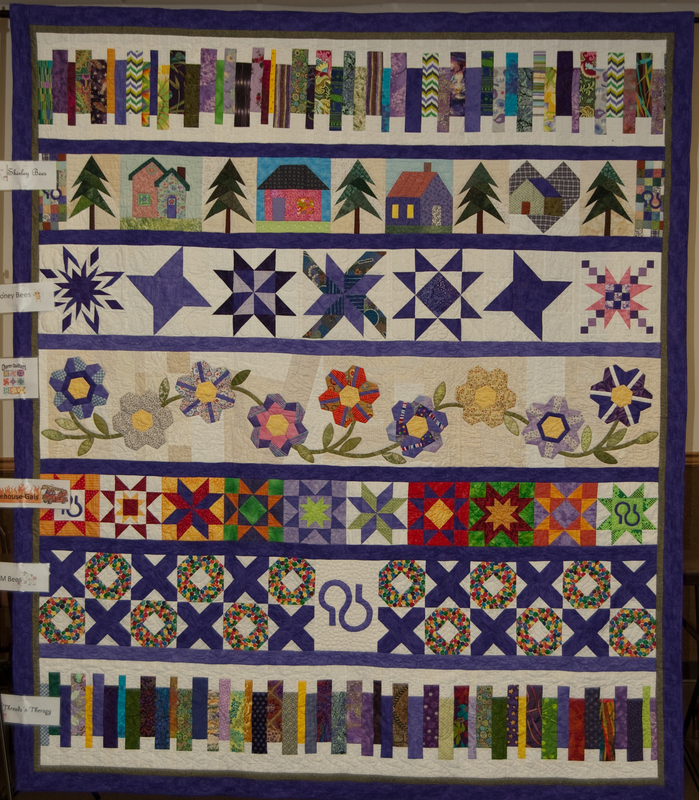 This year Appleseed Quilters Guild created this quilt to be donated to the Fort Wayne Alzheimer's Association for use in fundraising. 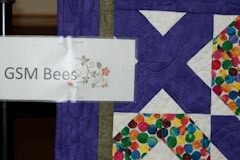 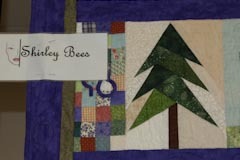 The different rows in the quilt were made by different bees within the guild. 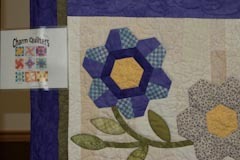 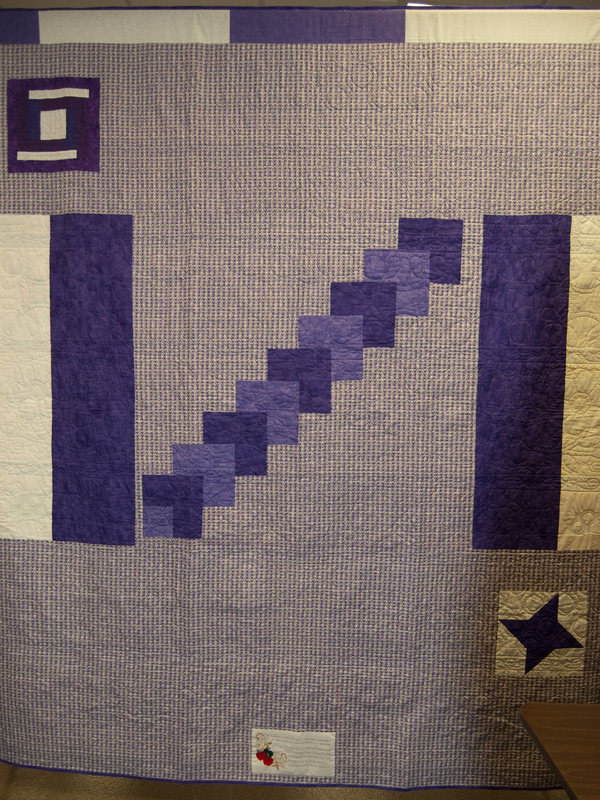 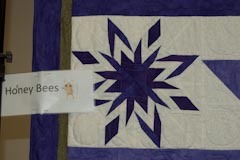 The Alzheimer's Association logo was included in several places in the quilt. 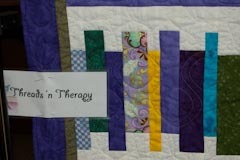 The back was pieced in the Alzheimer's Association colors of purple and white and a custom label was attached.